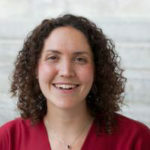 Heather Schofield, Ph.D., is assistant professor in the Department of Medical Ethics and Health Policy. Dr. Schofield is an economist studying development, health, and behavioral economics. Two primary ongoing areas of research include the role of health human capital (nutrition, pain management, adequate sleep) in economic productivity, cognitive function, and decision-making and the role of financial and social incentives in promoting healthy behaviors. Dr. Schofield completed her Ph.D. in Business Economics, MS in Global Health and Population, and BA in Economics at Harvard University.